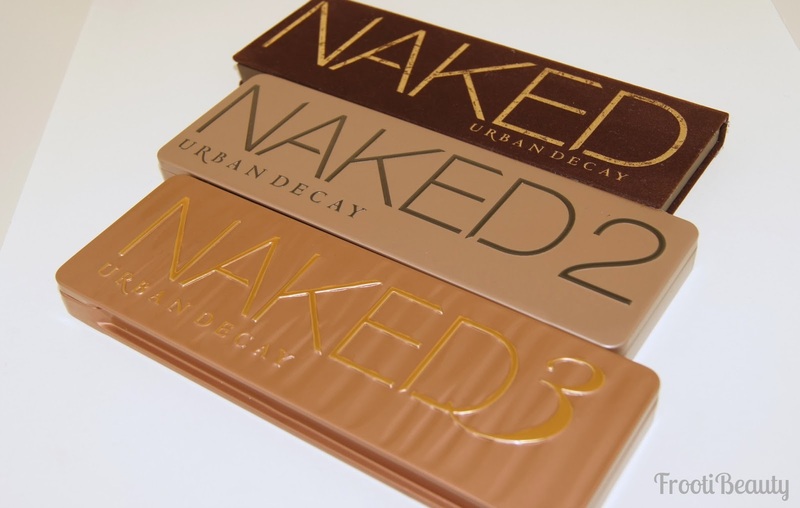 As your Urban Decay fanatic (and insider), I've managed to bag a couple of the new products to be released any day now at your nearest UD counter! UD Super Saturated High Gloss Lip Colour (which I'll call SSLC for short)! I managed to get two shades: Big Bang (bright pink with glitter) and F-Bomb (non-shimmer/glitter red). These remind me of a cross between Clinique's fairly new Chubby Sticks for lips and Barry M's Lip Lacquer Crayons. The shimmery shades from UD's range (Big Bang and Adrenaline - both pinks) definitely remind me of more expensive versions of Barry M's Lip Lacquers, however, these SSLC's have all the hold UD is best known for. 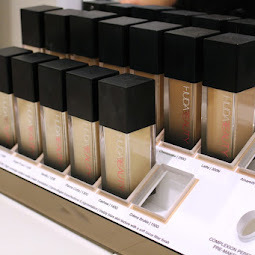 Texture-wise, they're a hybrid between a lipstick and a lipgloss, with all the pigmentation of a lipstick, but with more sheen than a normal lipstick. As much as I love the 2 glittery shades, they don't suit me too well as I have what you would call "voluptuous" lips. They do however look amazing on not-so-voluptuous lips, the glitter is amazingly fine and pretty! I tried Big Bang on my lips, but I feel it would be better suited on paler skin tones as it's quite a bright pink; I think Adrenaline would probably look better on me but hey ho! The creamy, non-shimmer/glitter shades are much more appealing to me; I only have F-Bomb at the mo, but I intend on getting Crush (bright pink) and Punch Drunk (orange), whether it be for me or to add to my makeup kit is another story! I'll do a makeup look soon with these SSLC's as soon as I get time, so bear with me! This curler has been named The Revolution and appropriately so as it's the first of its kind due to the design having no bars on either side of the curler (or "cage"). For those of you who may have had the ouch factor of pinching your eyelids whilst using lash curlers, this should be the answer. So far, I've used the curler about 5-6 times and at the beginning I was disappointed at how poorly it worked. It was only til I watched the tutorial that I realised I had been using it wrong, as the top of the curler is elongated so that it can sit against the eyelid, whereas I had not been doing that. Once I had started laying the metal top against my eyelid, the curl was definitely there. I tried to capture a before and after but unfortunately I couldn't get them from the exact same angle, but you do see a difference! 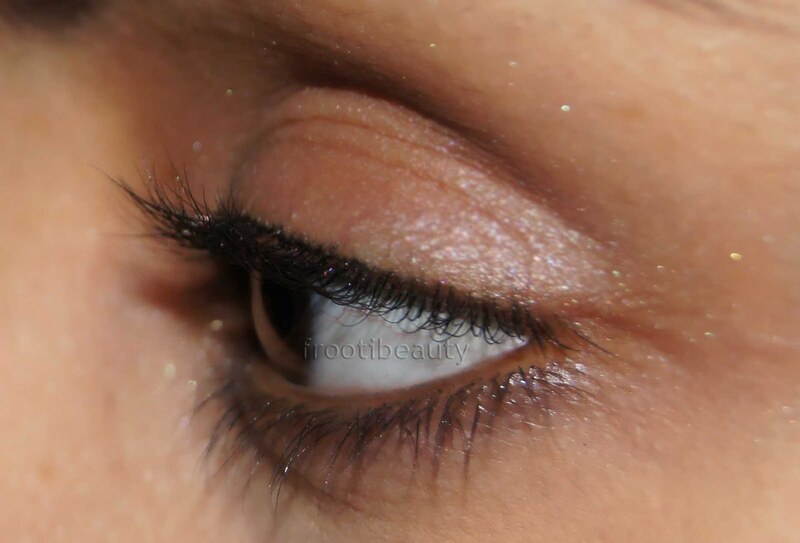 You can defo see the difference, my lashes after curling are positively pointing upwards! I dont have the waterproof liquid liners yet, but I did manage to swatch all the liners to hand and get home to take a pic..
My most favourite has to be Retrograde as it's a navy blue-purple with purple shimmer.. the picture above does it no justice, it really is amazing! Second best for me has to be El Dorado, as it's super shimmery and I love the 25/7 eyeliner pencil in this colour, so the matching liquid liner is a must for me! 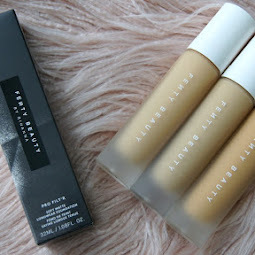 Perversion is somewhat shinier than I thought it would be and Revolver doesn't look like it has much pigmentation, but it's only til I've visited the UD website that it recommends shaking the bottle.. which I didn't do! All liners are truely waterproof as my hand had been washed and hand sanitised at least 3 times before this picture of swatches was taken, so props to UD for again making a product that does what it says. I haven't yet got to swatch the anniversary palette, but it's on my wishlist and the hubby has promised to get me it as an early Eid present, so I shall be swatching that soon! The palette is absolutely amazing from what I've seen of it and should be retailing for around £50, but I think it's so worth it! Again I didn't get to swatch these, but they are available in Blonde & Brunette, in a felt-tip type pen, as opposed to the traditional pencil. Personally, this would be ideal for fair skinned blondes or light brunettes, as I found them to be too soft in colour and pigmentation.. I prefer darker brows! I currently use the UD brow box in Brown Sugar and a bit of black to my eyebrows, so Brunette in this new Brow Tint won't quite cut it for me. This product seems a bit more upper class than the wax from the UD's current brow box, as I have seen professional brow lounges etc use gel rather than wax when finishing eye brows. It is quite wet, but does its job in holding the brows in place and I do currently use the Khuraira Brow Fix, which consists of a gel too. 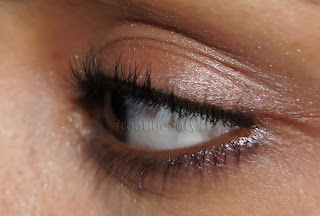 Urban Decay have discontinued a few of the lashes, but brought out even better ones now! The four new lashes include: Black Velvet, Sly, Flirt and Instaflare. Pretty natural looking right? I love them. It's the new Urban Decay glitter tattoo kit (I'll find the proper name for it soon), but it's pretty much similar to other glitter tattoo kits you may have seen, only this one is very Urban, with Urban colours and Urban stencils. You get five glitters; gold, black, purple-blue, pink and green/teal and x2 of the 5 stencils; a snake, a skull, a flower, stars and a bird. Also in the kit: glitter glue and a fan brush to wipe away excess glitter. I've actually got a glitter kit already and love putting it on for occasions, so when I saw this I was pretty excited. It's quite cute and would make a great gift for any true girl at heart or someone who loves glitter like I do! I'm not sure if this is only released in Debenhams stores or both Debenhams and House of Fraser, but I know some products will be exclusive to only either one of the department stores, so keep your eyes peeled. Out of all the new products, the Super Saturated lip colours are my favourite, followed by the 24/7 waterproof liquid liners. 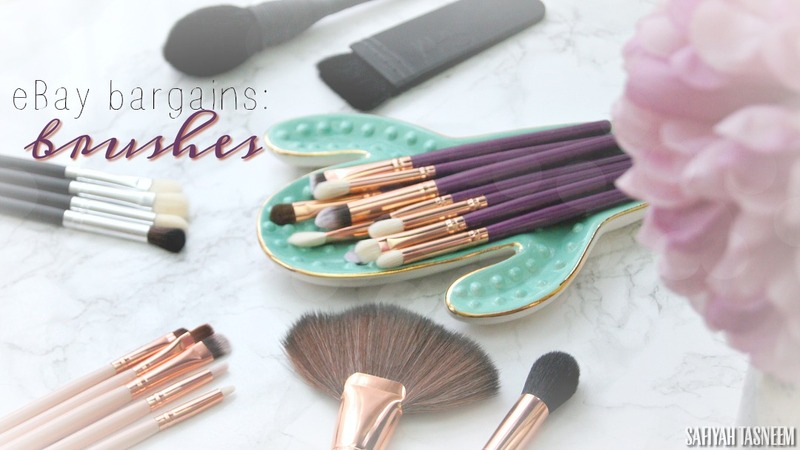 I hope to get my hands on the anniversary palette asap, so I can gush about that in a post of its own soon! All of the things look great! The SSLC's are great! 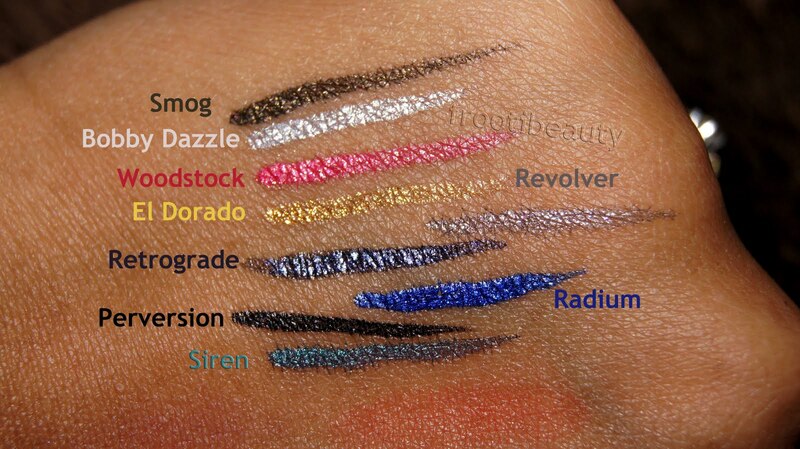 Really want to try those Urban Decay Lip Color's and that glitter tattoo is very cool! 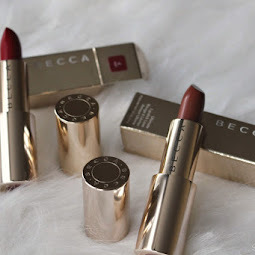 @ Madame Hot Lips & Heather Does Make Up: they SSLCs are amazinggg, really cant wait to buy the collection! Glitter tattoos are a fun treat for everybody and the ideal party reminder. 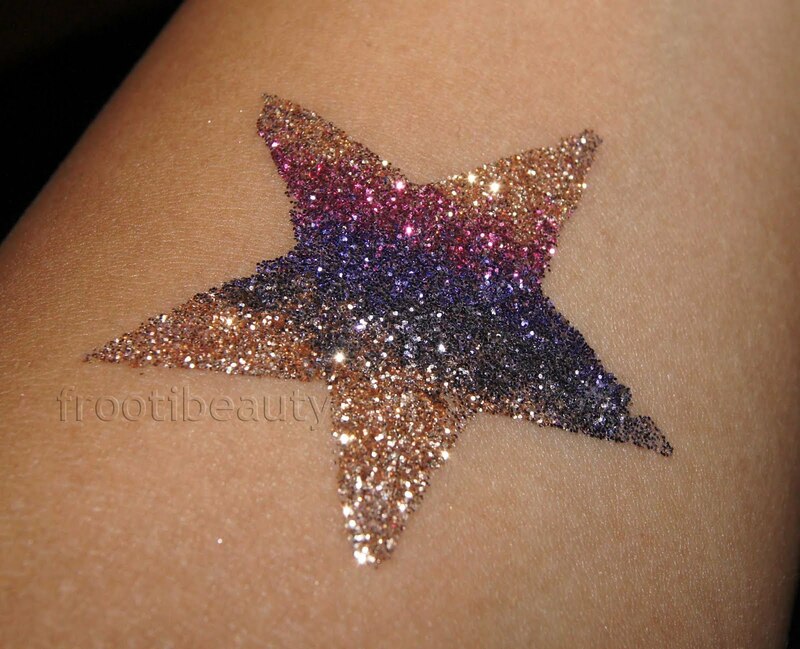 These glitter tattoos can last from 3 to 7 days with proper care.